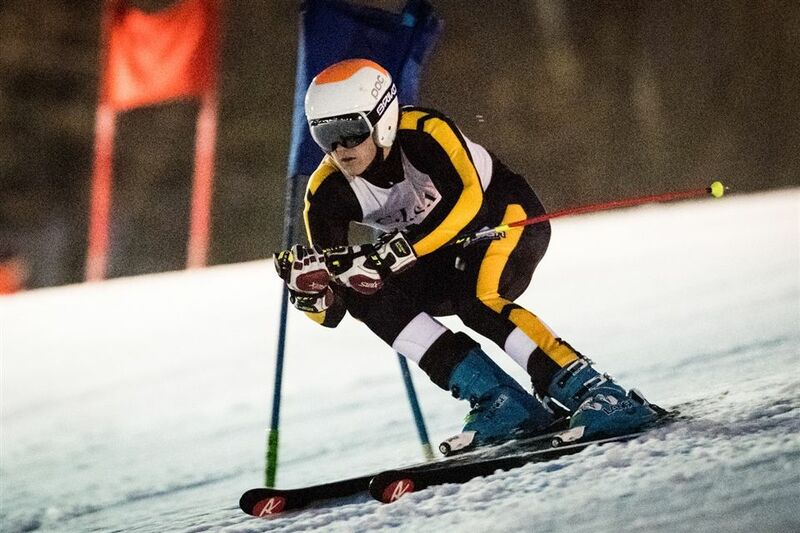 Brunswick’s Ian Murray posted a two-run total time of 46.13 to take the top spot in the opening CISL race at Mount Southington on Wednesday, January 9, as the Bruins finished 4-4 overall against eight other CISL teams on the slopes. Murray has the fastest time on the opening run (22.14) against 204 other racers. Murray was quick enough on the final run to hold off the second-place finisher from Ridgefield by 0.51 seconds. Jose Riera has the second-best time on the first run (23.03), while finishing 27th overall. As a team, Brunswick’s top six racers finished with a collective time of 314.71, besting Pomperaug (325.07), Guilford (348.65), Westhill (372.31) and Danbury (DQ). The Bruins were not as fast as Ridgefield (295.13), Southington (297.92), Hand (301.04) and Fairfield Prep (301.86). Cameron Shipman (36th), Tyler Eichmann (60th), Alex Trauber (80th) and Jamie Meindl (99th) rounded out the top six racers for Brunswick. The Bruins return to action at Mount Southington on Wednesday, January 23.